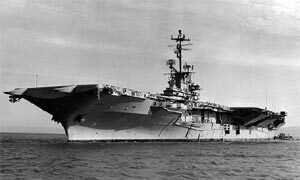 The USS Oriskany is the only aircraft carrier accessible for the majority of SCUBA divers and the largest artificial reef ever created. The Oriskany was intentionally sunk in 2006 off the coast of Pensacola Beach in the Florida Panhandle. The ship sits in 212 feet of water, so is not suitable for inexperienced divers. With the Island sitting at 70ft, this is a trip for our seasoned pros. Good Weather – This trip is very weather dependent. We will do everything possible to complete these dives but if conditions do not allow us to dive we will put the dive portion of your money towards a make up trip.